Nearly two out of every three women will experience at least one urinary tract infection (UTI) in their lifetime. Of these, about one-fourth will have a recurrent UTI within six months of the initial treatment, and one-third to one-half will have a recurrent UTI within one year. Over 11 million women seek antibiotic treatment for UTIs each year. Cranberry juice and cranberry supplements have previously been recommended for preventing and/or treating UTIs, as cranberries are rich in potentially helpful phenolic compounds. Many plant phenols, such as flavonoids (shown in Figure 1) and tannins, have been investigated for therapeutic or medicinal properties, including antioxidant and anti-inflammatory effects. The evidence for the beneficial effects of cranberry juice on UTIs is mixed, however. A prior meta-analysis found a small but positive effect of cranberry juice products on UTI incidence, but many individual studies have failed to show a positive effect of cranberry juice consumption on UTIs. However, there has been some concern that studies were underpowered, because the incidence of UTIs during the study period ended up being lower than the statistical design had planned for. In addition, it’s possible that certain populations who are at higher risk for recurrence may experience more benefit than the general population. This study aimed to evaluate only those women who were at a risk for recurrent UTIs. Urinary tract infections are a common occurrence among women, with nearly two-thirds of women experiencing at least one UTI and over one-fourth suffering from recurrent UTIs. Cranberry juice is often recommended to treat or prevent UTIs, but the research supporting this recommendation has been mixed to date. This was a randomized, double-blinded, placebo-controlled study of 373 women with a recent history of urinary tract infections. The women were 20-70 years old, predominantly caucasian, and on average had sought treatment for one to two UTIs in the six months leading up to the study enrollment. 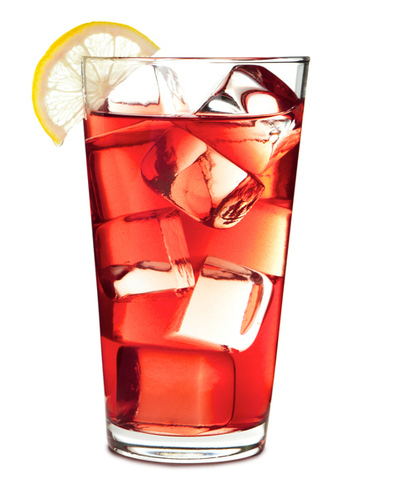 Half of the women received an eight-ounce cranberry juice beverage daily for 24 weeks (which contained 135 milligrams of total phenolic compounds), and the other half received a sugar beverage that was matched for flavor, color, and nutritional content but contained no cranberry juice and had only 17 milligrams of total phenolic compounds. 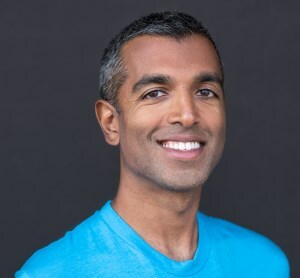 At the start of the study and every eight weeks during the study, participants provided a urine sample and completed questionnaires about their recent sexual history (which can influence the frequency of UTIs), their diet, and whether they had experienced any gastrointestinal symptoms. Participants were also asked to keep a daily diary of both their beverage consumption and any UTI-related symptoms, and to come into the clinic for treatment if they experienced symptoms. At the voluntary clinic visits, they reported symptoms to an investigator, received a pelvic exam and had a urine sample collected. A “clinical” UTI was diagnosed if the participant had any one or more of the following symptoms: painful or difficult urination (dysuria), increased urinary frequency or urgency, or pelvic pain with the absence of other symptoms. A study participant was not required to have a confirmed bacterial infection in order for the symptomatic UTI to be recorded as a trial event. Clinical UTIs were treated with antibiotics while the participants continued the study protocol. All the collected urine samples—those collected at regular intervals from all participants and those collected from symptomatic patients seeking treatment—were tested for the presence of white blood cells (pyuria) and bacteria. The primary outcome of the study was clinical UTI incidence density, or the number of symptomatic UTI-like events per unit of observation time. Secondary outcomes included clinical UTI with pyuria, time to first clinical UTI, and time to UTI with a positive bacterial culture. Researchers randomized 373 women with a recent history of urinary tract infections into two groups, which received a daily eight-ounce cranberry juice beverage or a placebo beverage for 24 weeks. Participants were asked to come into the clinic if they developed symptoms of a UTI, where they gave a urine sample and received antibiotic treatment if needed. The investigators reported their primary outcome as an “annualized incidence density”, which means they calculated the number of UTIs per person-year for the treatment and placebo groups (see sidebar for more information). This accounted for multiple UTIs in some patients during the trial period. There was an annualized incidence density of 0.48 UTIs per woman-year in the cranberry juice group, and 0.75 UTIs per woman-year in the placebo group, and this was found to be statistically significant both with and without correcting for antibiotic use during the trial. Person-Year: Person-years (or person-months, weeks, etc) is the total amount of time the entire study population is observed. This study contained approximately 186 person-years of observation, since 373 women were observed for about six months each. Person-years can be used to report the incidence density. Annualized Incidence Density: This seems to be a term created and defined by the study authors. An incidence density is calculated as the number of new cases over an observed time period, divided by the amount of time in person-years each person in the study is at risk. An annualized incidence density is expressing the number of new cases per one person-year (or woman-year in this study, since only females were included). Kaplan-Meier Curve: Another way of reporting risk is to use a Kaplan-Meier curve, which originally measured survival over time as the number of patients that were still alive at each measured unit of time. 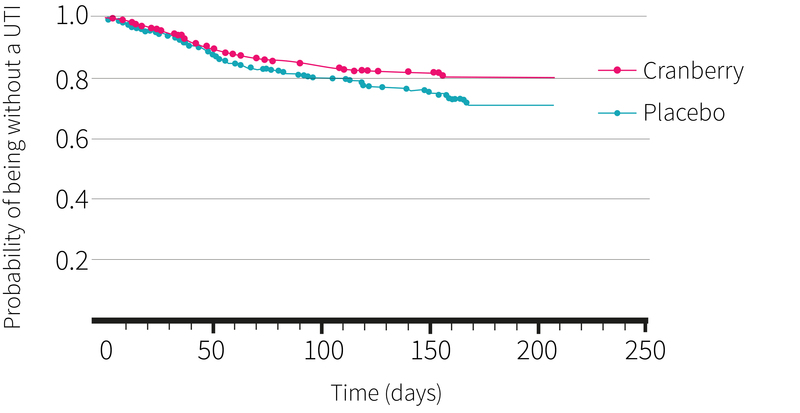 More generally, Kaplan-Meier curves report “event free survival” or in this case, the number of women without a reported UTI in any given time period over the duration of the study. While a clinical UTI diagnosis was counted if there was at least one symptom, the vast majority of women (97-99%) reported two or more symptoms at their clinic visits. However, out of the 39 clinical UTIs in the group consuming the cranberry juice and 67 in the placebo group, only 30 and 34 were actual infections as determined by microbiological culture. There was no statistical difference between the two groups in this regard. There was also no statistical difference in the secondary outcomes of time to UTI with either pyuria or a positive bacterial culture. Additionally, the researchers reported how many subjects remained UTI-free versus experiencing at least one UTI during the trial period on a Kaplan-Meier curve (shown in Figure 2), which is a standard statistical graph to show “event-free survival”. A total of 33 subjects who consumed cranberry juice had at least one UTI during the course of the trial, versus 50 subjects in the placebo group. This trended towards significance (0.078) but did not reach statistical significance. A statistically significant reduction in the number of UTIs per woman-year was seen in the group consuming the daily cranberry beverage. There were no statistically significant differences in the number of confirmed bacterial infections, or the time to first clinical UTI. It’s important to note that there is a fairly heavy industry influence in this study. Not only did Ocean Spray provide the cranberry juice and placebo beverages (which is not unusual), but they funded three of the study authors, who themselves are from a Contract Research Organization, or a company that is paid to conduct clinical trials (which is not automatically a red flag, as there are hundreds of CROs in the US that support thousands of studies - but it is worth keeping in mind). Ocean Spray also had two employees who contributed to the study design, research, and manuscript preparation. The lone academic co-author, who reported no conflicts of interest, did not participate in conducting either the trial or the statistical analysis of the data. This may have played out in the choice of statistical analyses and what was presented as being statistically significant. As noted above, there were no statistically significant differences in the event-free survival or in the number of positive bacterial cultures between the two treatment groups. The study did not even report hazard ratios or associated p values directly comparing the number of UTIs or UTIs with pyuria between the cranberry and placebo groups. It was only in the annualized incidence density calculation that a statistically significant effect was found and reported. The reported numbers translate to one symptomatic UTI prevented for every 3.6 years of consuming a daily cranberry beverage (or every 3.2 years, after adjusting for the participants’ antibiotic use during the study). The overall effects of the study, primarily funded and carried out by Ocean Spray, showed that a woman would have one fewer UTI for approximately every 3.6 years of consuming a daily cranberry juice beverage. Consumption of cranberry juice to prevent UTIs is actually very well-studied. The Cochrane Collaboration, a source of meta-analyses on all kinds of human health issues, has updated their review of trials testing cranberry juice for the prevention of UTIs in various populations three times since the initial publication in 1998. The most recent update, in 2013, analyzed 24 studies and found that there was no statistically significant improvement in symptomatic UTIs from consuming cranberry juice. They also noted that the dropout rate for many studies was high, likely due to palatability issues, as cranberry juice is fairly acidic, and sugar sweetened beverages generally do not contain enough juice to have any nutritional relevance. Indeed, even in this study the drop-out rate was about 14%, although it was not enough to affect the statistical power of the study. It’s interesting that there was no difference in the number of urine samples with positive bacterial cultures between the two groups. The phenolic compounds in cranberries have previously been touted to help prevent bacteria from adhering to the bladder lining, but the benefits seen in this study were primarily symptomatic, rather than preventing actual infections. This is actually in line with prior research, and the authors suggest that the phenolic compounds may have more general anti-inflammatory effects rather than any effects on bacterial adhesion in patients. Because the study was only conducted in women with a history of recurrent UTIs, it can’t be generalized to the broader population, who might see even less benefit than reported in this study. Any effects are small, and likely only to improve symptoms rather than any actual infection. Bottom line - drink cranberry juice if you like it, but there’s probably no need to choke it down for preventative health benefits if you don’t. Despite research showing that compounds in cranberries may reduce the ability of bacteria to adhere to the lining of the bladder, there were no differences in the number of positive bacterial cultures from participants in the cranberry juice group versus the placebo beverage group. This result is in line with a 2013 Cochrane meta-analysis. Any symptomatic effects seen might be due to the general anti-inflammatory properties of the fruit. Why was the number of UTIs during the trial so low? One of the enrollment criteria was a recent history of UTIs, which was defined as at least one UTI in the six months prior to enrollment and at least two in the previous year. At enrollment, women in the study reported at average of 1.6-1.7 UTIs in the previous six months, which would have been a total of 615 treated UTIs for the entire study population. However, only 106 UTIs were reported during the 24 week study period (also nearly six months). There are a number of possible reasons for this, including the fact that the pre-study numbers were self-reported (and no data was collected about how many of these prior episodes were true infections rather than symptomatic complaints), other risk factors (such as the ones depicted in Figure 3) could have changed during the course of the study, or women might have been less likely to report minor symptoms during the study that they might otherwise have sought treatment for previously. This same phenomenon may have resulted in prior studies being underpowered. For example, researchers conducting one study had calculated a UTI recurrence rate of 30% and designed their study size accordingly, but only saw a 14% recurrence rate in the trial. Why did women have UTI symptoms when they didn’t have an infection? It’s possible that the UTI symptoms in the absence of a diagnosed infection could be the result of generalized bladder or urethra inflammation. This might support the authors’ hypothesis that the cranberry juice’s anti-inflammatory properties were providing symptomatic relief to some women (even though it had nothing to do with preventing infections) and seems to be more in line with the anti-inflammatory effects discussed earlier. A study designed, funded, and conducted primarily by Ocean Spray found a very small reduced annual incidence of urinary tract infection-like symptoms in women who consumed an eight-ounce cranberry juice beverage daily for 24 weeks. There was no statistical difference in the number of urine samples that were positive for bacterial infections, or the number of women who experienced at least one UTI over the course of the study.